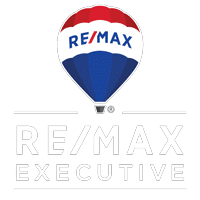 "Alexandra, and the Mountain Star Team at ReMax, don't just represent their clients - they build a relationship with their clients. When it comes to the intricacies of the WNC real estate market, whether it's to build a home, purchase a home or an investment property, they know their stuff. Alexandra is professional and trustworthy as well as personable - she really cares. I've partnered with Alexandra twice and wouldn't think of working with anyone else." "As a wholesaler who was new to the area, I was looking to work with an agent with knowledge of the local market and one who was familiar with the wholesaling process. Alexandra was a pleasure to work with and went above and beyond. Her communication throughout the sale was outstanding! I am very happy to recommend her." "Heather Hines is an excellent Real Estate professional! She is there for you as a good friend until the end! I had a tough lot to sell, but with skill and patience, we did it! I will always be grateful, thank you Heather!!" "Look no further than Heather Hines to work with for your real estate needs. She listed our home in Black Mountain and sold it within 45 days of it being listed. She is the only agent we use and refer all our friends to her." "Great gal to work with. My husband and I just got married and wanted to buy our first home together. We reached out to Heather as she had worked with my husbands family before selling some of their land. I feel she’s is both personable and knowledgeable which made finding a home a lot easier. She also represented us well to the different buyers we approached before finding our dream home!!" "Rachel was wonderful. She was very thoughtful and had really good information to share about the properties. I was always able to get in contact with her and never had a doubt that she would help us find out new home. I highly recommend her!" "I had some hurdles selling my house. Heather was very professional and handled everything very well. I recommend Heather and her agency anytime. Her agency and co-workers were on top of everything. They work together well." "Heather worked very hard to sell our house. She was great at communicating information with us throughout the entire process. I would definitely use her again." "Alexandra is a true professional who has her client’s needs and wants at the forefront at all times. She is an absolute pleasure to work with." "Alexandra is a pleasure to work with! She always has the best interests of her clients in mind, and looks for innovative new ways to market their properties. She is smart and savvy, with a warm personality that makes you feel comfortable every step of the way. Highly recommended!" "Both Alex and Bob are amazing to work with!!! Went over and beyond to help." "Alexandra is Very professional, knowledgeable, driven to succeed in helping you with your Real estate needs. She is determined to get you Results. She worked tirelessly to help us sell a piece of our property. We definitely would recommend her to anyone looking to sell or buy property." "I could not recommend the Mountain Star Team from Remax enough! It was an incredibly friendly, knowledgable and welcoming environment." "Alexandra is so helpful! It's been a pleasure working with her!" "Alex and Heather are fantastic! Not only are they both super friendly and easy to work with, they are very thorough, knowledgeable and professional. I would highly recommend them to anyone who is looking to buy or sell a home." You find the perfect home! Being a first time home buyer can be intimating and Alex makes sure you do not miss a thing!" "Wow! what an experience. I have worked with many real estate agents across the country and different real estate teams. I can confidently say this is one of the best teams to work with in western North Carolina. They are extremely articulate when negotiating contracts, and they have been extremely creative on more difficult properties. It doesn’t matter if you’re buying or selling the mountain star team will be able to assist you with the best quality of service. Thank you for taking it upon yourselves to hold the industry to a higher standard." Alexandra is an exceptional realtor. She gave us guidance and knowledge with selling our home. She was accessible and willing to go the extra mile to assist us especially by us being out of town. She was great with communicating and giving updates. She has genuine care and concern. She made our transition as smooth as possible. Alexandra did an excellent job with staging our home. When it went on the market it was under contract within 2 days. As a buyer or a seller she would do a great job representing you as your realtor. "Alex was great to work with. She responded quickly to emails and checked in routinely. She even gave us information the mortgage company neglected to communicate and without her we wouldn't have known. Overall, a great experience. Thanks!" "I'm so thankful we had Alexandra help us buy our first home. She was very clear and always made sure we understood all the laws, regulations, and proceedings buying our house. She worked around the clock and was always available to answer questions. She made sure we got the best deal for our home that had multiple offers on it. Buying a house was very stressful with a newborn baby but Alexandra helped ease our stress levels. She has great connections with contractors, inspectors, and lenders. She allowed us to build an affordable yet quality team to insure we were investing in the right house for us." Alexandra Schrank was amazing to work with! She made this process super easy. She has so much knowledge of this industry and is awesome at what she does! I highly recommend her! "It went as smooth as possible and Alexandra worked extra hard to make sure all of our paperwork, insurance, inspections, and contractors were lined up. If you're looking to purchase or sell real estate in the Asheville market or surrounding markets. I would highly recommend contacting Alexandra." "I highly recommend Alexandra. Our property sale, which involved 3 long distance sellers who hardly knew each other at the start, could not have happened without Alexandra's patience, perseverance, knowledge, and energy The transaction was a bit convoluted and complicated for a relatively minor reward, and we never felt like we spent a second on the back burner. Fantastic experience for us." "Alexandra, and the Mountain Star Team at ReMax, don't just represent their clients - they build a relationship with their clients. When it comes to the intricacies of the WNC real estate market, whether it's to build a home, purchase a home or an investment property, they know their stuff. Alexandra is trustworthy as well as personable - she really cares. I've partnered with Alexandra twice and wouldn't think of working with anyone else." "Rachel was a wonderful. She was very thoughtful and had really good information to share about the properties. I was always able to get in contact with her and never had a doubt that she would help us find out new home. I highly recommend her!" "I first met Alex before I even had the $ for a house and she still gave me time and attention and answered real estate questions for me. I also got to work with Heather and Rambo because they really are a team and will work together to meet deadlines and make sure the customer comes first. In the last year me and my business partners bought more than a million dollars of real estate and I used Alex every time. She has never let me down. I have also seen her go out of her way for other customers and people: bought a family in need a couch, employed young men making a fresh start to stage houses, and rent out of her own pocket dumpsters to clean out a house so we could get an inspector in. Alex, Heather, and Rambo feel free to give my number for a reference any time. Hope to work together again soon." We absolutely would not have been able to sell our home with out Heather Hines. It was a difficult sale with the ROW issue and she stayed by our sides until the very end. I would highly recommend Heather for all your real estate needs. Highly capable, hard working, educated, and compassionate broker. Ronald and Annette Austin. I want to thank you for all your hard work and for understanding. I would recommend you ladies to anyone. Very professional, organized, detailed and caring. Rachel is exactly the Realtor you want to invite into your world to guide you through the journey of buying and/or selling your home! She is honest and reliable, experienced and professional, genuine and dedicated. Rachel's kindness adds to her wise counsel to bring calm to each and every step of the easily chaotic process of such a big life change. She has a solid view of the market, a love of the Asheville area, and an attention to detail that astounds. By expertly walking me through the sale of my Swannanoa home, Rachel not only negotiated a fantastic deal, she became my favorite Realtor ever. That means #1 out of 22 because my grand total is 11 homes in MN, WI, TX, MO, AZ, CA and NC over the decades. Rachel cares about her clients. She is beyond trustworthy. I knew all would go well with my closing even though I had already moved out of the state. She handled everything! And most amazing of all -- we actually had fun and some good laughs along the way! Thank you, Thank you, Thank you!!! Alex, you were such a blessing to our family during this house hunting adventure. Your hard work, dedication, and genuine care for us will never be forgotten. We appreciate you helping us in EVERY single way that you possibly could. The process seemed easy, understandable, and fun thanks to your hard work efforts! Being in the real estate industry for many years, I can honestly say that Alexandra stands out as one of the best! She goes above and beyond and I would highly recommend her to anyone looking to buy or sell a home or just wanting information and/or advice about the local market. She's a gem! Alexandra is by far the best agent I have worked with. She goes above and beyond for her clients. The process was very smooth and she took care of all the details necessary to close on time. I would highly recommend Alexandra for any of my family and friends. Alexandra helped us find this home for my new family. She was always there to help answer my questions. She made sure to follow up on every detail no matter how small. She knows the area so well and has so much knowledge. I couldn't have asked for a better experience with buying a home. If I ever move again I will be using Alexandra. Highly recommend her. This was not a straight forward deal from contract to closing and we could never have gotten through it without Alexandra. She went above and beyond to make this deal happen for us and now we have the place of our dreams! Alexandra was excellent in negotiating and advocating for us every step of the way and she did not give up where others likely would have. Alex helped my family and I put tremendously. Super knowledgeable and willing to help in any way she could! I would definitely suggest her to anyone looking for their new home! We were looking to purchase a vacation home in Waynesville NC, but living out of state could have made it a very difficult process. But, Alex assisted us every step of the way, from referring us to North Carolina inspectors, roofers, and even a local mortgage broker. She also made herself available to us day and night. Alex's most important attribute is her honesty. It is very hard to find a realtor in today's market with integrity. North Carolina is a "buyers beware" state, and she made sure that all the "i's" were dotted and the "t's" were crossed. We were totally blessed to have Alex as our realtor who I now consider a good friend. If we ever are to sell or buy in North Carolina again, I definitely would want Alex as our realtor. Alexandra is the best! She knows the market and works hard to make sure you can get the property you have always dreamed about. I would most definitely hire her again in the future. She made the stressful home buying experience and competitive market easy to understand and fun. Alexandra is by far the best real estate agent I have worked with (3 others). From the beginning, she immediately understood what we were looking for, in fact, the first house she showed us was the one we ultimately bought. During negotiations she was assertive in working to get us the best price, to make the seller comfortable with the deal and in making sure there were no loose ends, i.e. unanticipated repairs that were not compensated for by the sellers. She was highly detail oriented as well as warm and personable. After closing, she has continued to make sure we have the help we need to get repairs done and to settle into our lovely new home. We just love her! Alexandra helped organize builder interviews, contract reviews, kept a record of finances, liaised with builder regularly on my behalf, and managed the completion of the punch list. Throughout construction, she ensured builder kept to schedule or if not inquired as to why to ensure communication. She's very easy to work with, comes to the table with ideas and energy. I was very grateful to have her realty expertise on my side and I would recommend her to anyone. I was from out of state and I was referred to Alex by an acquaintance. I was helping my son negotiate his first home in Asheville. From start to finish Alex was delightful, masterful and very resourceful. She has a connection to so many tradespeople that made our job so easy. She knew the questions to ask and how to quickly get answers. I would recommend Alex in a second. Alex will work hard on your behalf and get you the best deal possible. Alexandra was an amazing real estate professional when she sold my house and helped me purchase a townhouse. She was patient, kind, responsive and always asked the right questions to help me think the process of buying one house and selling another. This can be a stressful time but Alexandra made it as easy as possible. She acted as if I was her only client and took great care to take care of me. I highly recommend her to all my friends! Alexandra Schrank is a true professional in Real Estate. She is very thorough, knowledgeable, attentive, self motivated, express honesty and integrity and definitely exceptional to her professi on. Alexandr help sell our home within a few hours of being on the market. She actually should be an interior decorator as well for she can stage a home better than anyone. Alexandra provides unbelievable service and is always available ans eager to answer your question with positive feedback. I highly recommend Alexandra to anyone looking to purchase or sell a home. She is top notch and will be available every second of the way. Thank you Alexandra for all of your hard work. You are the best! "I used Alex as my realtor to sell my house, and the seller of the home I bought used her as their seller's agent, since it was a FSBO listing. Alex is very professional, and went beyond the call of duty in helping meet my needs. My house had two offers the day after we listed it, and she helped me negotiate the sale. I needed to live either east or west of Asheville because of freeway access issues, and again, Alex was very helpful. She even sent out mass e-mails, and posted flyers in the area I wanted to live, as well as referring me to an excellent inspector. Thanks to her, I was able to move just three weeks after first seeing the new place. Alex is fun to work with, and she dealt with complicated negotiations with the buyer’s agent for the home I sold. If you want a realtor who is ethical and has your best interests at heart without compromising her high values, Alex is your gal!" "Alexandra provided timely and thorough background information on each step of buying the two bedroom condominium. She negotiated the price we wanted and followed up promptly with all parties involved from inspection til closing. Alexandra spoke thoughtfully and frankly on all questions we asked. If we were to sell this and buy another property I would search for Alexandra Schrank to be our professional real estate agent." "Alex worked really hard for us and helped through a number of setbacks and issues. In the end, we ended up with the perfect house for our family. We recommend her highly!" "I never write reviews but in this case I felt it was necessary. Ali has become a wonderful friend through this process. She worked so hard to help my family find the perfect home. She was always available for us day or night. She was diligent and relentless, and we could tell from the first day that she truly loves her career. We are forever grateful to her for her love and support." "Alex did a phenomenal job, and I will be the first to say that I am a very tough critic. Please continue for the details. For anyone that has been through this you know, once your house sits on the market for 6 months and your initial term with your realtor is up, you begin to get bombarded with phone calls, letters, and flyers from every agent in the city. They all make promises that for the next 6 months they will do exactly what your last broker didn't. What I found from these calls, was that everyone sounded exactly the same. They all had their pitch for me ready to go, but they hadn't spent one minute reviewing my house, understanding why it didn't sell, or could give me any actionable plan of what they were actually going to do. They all just called hoping they could sell me with 0 effort. Except Alex. When I spoke with Alex, she had a clear and concise plan laid out and ready to go. She had spent the time to review the property, and knew exactly what she was going to do differently. There were a few open questions and she did the research and quickly got back to me. Alex went above and beyond every step of the way and when we decided to move forward, it took her 1 day to have the house staged. She did the staging herself, and she did an amazing job. She was a great communicator during the entire process, and she hustled every step of the way. She did an amazing job, and was a pleasure to work with. We tried to sell the house during one of the worst times of the year, and yet she still did an incredible job. She was fantastic to work with, and I could not recommend her any more highly. Alex is a hard worker and a great communicator. You'd be making a great decision to trust her with your home." "Alexandra is a knowledgable, reliable and over achieving realtor. She went above and beyond for us as clients through every step of the way. She was available and eager to answer all of our questions at the drop of a hat. We highly recommend Alex for any of your real estate needs!" "Unbelievable service!!! Always a step ahead, always available for questions anytime day or night! Buying a house can be a struggle at times, she made it seamless!!!! Thanks Alexandra!!!" "Alex was invaluable in our search for a home. She made herself very available and was extremely flexible as our needs and criteria evolved over time. She also stayed really on top of the market and showed us suitable places before we would have known they were available, one of which we're happily living in now! She's the right mix of personable and professional that I would recommend to anyone house hunting in the Asheville area."